Does Your Child Struggle to Get Ideas Down on Paper? One of the most common complaints we hear from parents is that children just can't get their ideas down on paper. 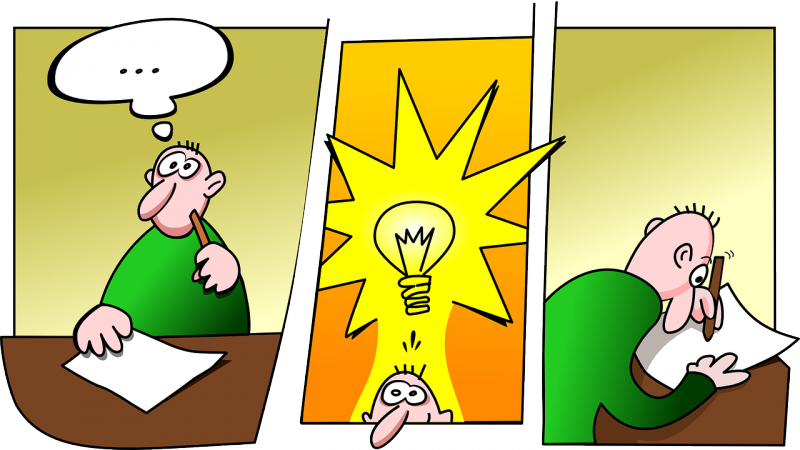 Some have no problems expressing ideas orally but when it comes to writing it down they just can't do it. Others have difficulty either way. Others yet can read a paragraph yet cannot summarize what it says in their own words. This is an important skill. And one that can be taught. Build up the underlying skills and use teaching techniques such as this one. Remember, intelligence is fluid. You or your child are not stuck with the brain you wore born with. Trouble getting ideas down on paper? This will help. Getting ideas down on paper is a skill. It can be taught. 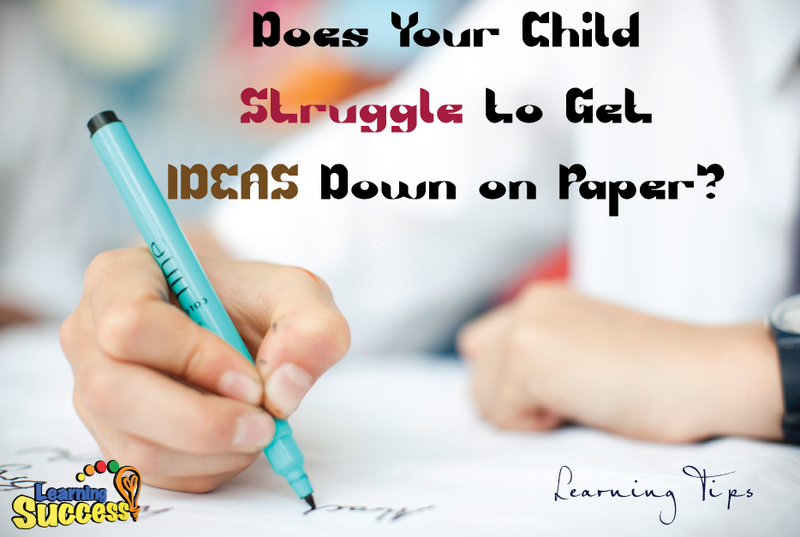 Does your child struggle to get ideas down on paper? Or maybe you do? Or you’re a teacher and your students have a hard time at this? I’m about to give you a simple trick to help overcome this problem. I find that this is a very common problem among those who struggle with learning difficulties. Many are great communicators. They can talk and talk and talk. But as soon as it comes to getting those ideas down on paper they freeze up. They drop their pencils. Need a drink of water. Need to go to the bathroom. Cry. Charm. Throw a tantrum. Whatever they can do to avoid writing. Writing is a critical skill we need to learn to express ourselves. Without it, we'll run into all sorts of problems. Getting into a good school or getting a good job is nearly impossible without basic writing skills. I know lots of people that avoided lots of opportunities because those opportunities would require a small amount of writing. It's terrible to see lives held back like that. Just because of a small skill. A skill that can be developed with the right knowledge. There are several reasons for this problem. I'll talk about those in a sec. But right now I want to give you a technique for the most common. A lot of those with learning difficulties are weak in the ability to think sequentially. This causes problems everywhere. They can't get ideas down on paper. They have a hard time understanding or following instructions. They often don't finish tasks. (Oh and by the way I really recommend doing this exercise and most exercises on paper. There's something about the connection between actual handwriting and the other brain centers that helps with creativity and logical thinking. Yes, it's nothing new. But it's rarely used. Even though many of the world's greatest authors use it regularly. They swear by it. But students are not often taught to do it. They are sat down in front of a blank paper and told to write. How. In. The. World. Are they supposed to build the skills to think logically by doing that? It just won't work but that's what they are told to do. So before writing create an outline. Just get three sentences together and write them down. Or five if you like. They don't have to be in order at first. Just get them down. Then you can discuss the order. Help the child find reasons to order them a certain way. There's no wrong answer. Just help them think about it. Then go back to the first question. Ask clarifying questions about that sentence. Ask your child to write down the answer. By doing this you are fleshing out the paragraphs. In other words. Break it down into the tiniest chunks possible. And by the way. That's always the solution to getting anything difficult done. Break it down until the pieces are easy. then do each piece. Now, for some kids, even the above might be a stretch. If so we break it down even further. Grab an object. Preferably a favorite toy or something. Ask the child to write down one sentence about that object. Good, you've got an outline. At this point, you can either flesh it out or start over with another object and do the exercise again. Not until the child gets fatigued. But a little each day. You've got time. This will help your child build up more sequential thinking, which will help them everywhere. This little exercise can really help your child. but it's not the entire solution. Children who struggle in learning need to step back and build up the basics. They need exercises that will build their self-confidence. They need body exercises like this one to get their brain into high gear. they need even more exercises to develop sequential thinking. And really, it's best if they can get this at home. You can give them what they need to succeed in school. Help your child become a successful learner, which leads to a successful life. That's what the Learning Success System is all about. It builds up those fundamentals of learning. It builds self-confidence. It incorporates the body so you can get that brain in high gear.